Honestly, there’s a lot going on with the Galaxy S8. There’s a new design, new features, and plenty of stuff in between. Because we don’t yet have the phone in the office, we can’t exactly highlight all of the greatness ourselves, but in the Galaxy S8 and Galaxy S8’s official introduction video, Samsung does a pretty darn good job. In this 3:34 minute long video, you will learn about Bixby, the rear-facing camera, Infinity Display, wireless charging, facial recognition, iris scanning, water resistance, and oh so much more. Basically, anything Samsung felt necessary to highlight on these phones, it will be in this easily digestible video. Yum yum. Naturally, once we get ours paws on these devices for the longterm, we’ll provide our own thoughts on all of this stuff, but until then, here you go. 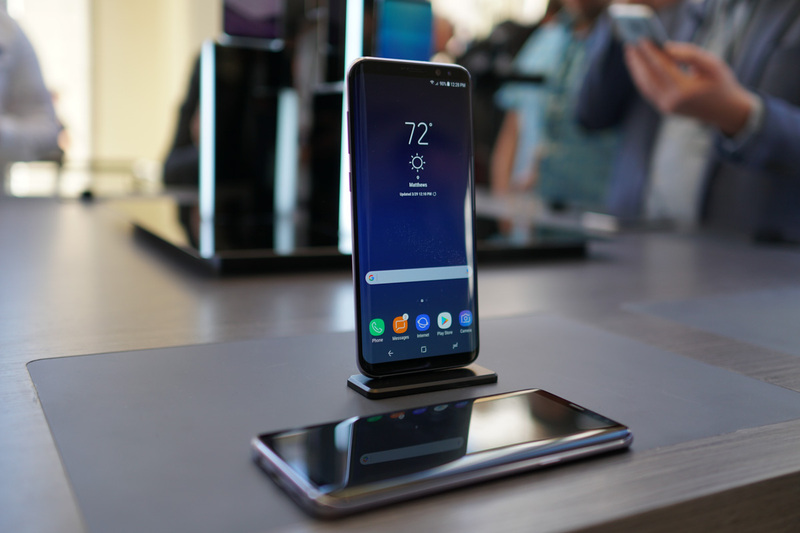 Are you feeling the Galaxy S8 or S8+? I certainly am.